NoteBuilder is an application that assists the user in writing notes. 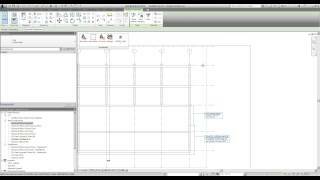 It is a solution that can replace or work next to the standard text command in Autodesk® Revit® and adds a list of improvements. Writing notes is still a big -and not fun- part of the drafting job. How much time is not spend searching for that one typical note somewhere in a previous job, or that one view where you wrote a note that you now need again? NoteBuilder addresses these issues and improves the note writing workflow in many ways. Once installed I'm stuck with one text type until after I've added into the project. In my case, Helvettica3.0 Bold. Can i get text selection back somehow? When you add a note from the database that it is inserted on a new line, instead of replacing an existing note. When creating a custom note in a non-English language, the words are unstable (something with encoding). Great plugin. Please update so it can support bullet points/numbering and text justification - it would be perfect then. This is a great tool for working with text notes. Best feature is jhaving the ability to globally change like note with the option for custom selection! I started using this right before we upgraded to 2018 Revit...now I can't. Please update for use with version 2018! !